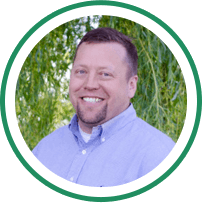 Dr. T. Brook Summers was born and raised in Idaho, and graduated from Rigby High School, Ricks College, and Idaho State University. He then went on to receive his doctorate in dental surgery from the University of Pacific in San Francisco. He met his wife, Heidi Burtenshaw, at Ricks College and they married on February 11th of 2000. Dr. Summers enjoyed riding snowmobiles, motorcycles, and playing couples tennis with his wife. Dr. Bryce Burtenshaw and Dr. T. Brook Summers became business partners at Family Dental Health Center in the year 2005. After a decade of working together in Idaho Falls, they acquired their practice here in Blackfoot in October of 2015. They shared a common goal of delivering the utmost quality of care to their patients, while building respectful, trusting relationships along the way. Together, they evolved an already successful practice into a true dental family. In a tragic accident, Dr. Summers and his wife were killed in an airplane crash the morning of March 13th, 2016, outside of Alpine. This loving couple left behind four beautiful children, who meant the absolute world to them. The children are now in the tender, devoted care of their supportive family members. Our beloved doctor is sincerely missed by both his staff and his patients whose lives he greatly impacted for the better. He was a kindhearted, dedicated expert who made it his personal mission to care for his patients with generosity and empathy. Today, Dr. Summers’ legacy of compassionate, superior service lives on here at Grove City Dental. Our staff strives to make each patient feel like a part of our family, just as Brook would have. Through the dental care we provide, we follow his example of passion and commitment to our patients. Since Dr. Summers’ passing, Grove City Dental has had tremendous support from our patients, family, friends, and the community. Although we will forever hold a special place for him, we have learned to continue moving forward day by day. We are grateful that we have his memory to carry with us into this new year. Our office has expanded our provided services through several avenues this past year. We now offer IV Sedation for our patients with dental anxiety, along with nitrous oxide, oral conscious sedation, and general anesthesia at the Parkway Surgery Center. Our current doctors perform multiple services, including crowns, root canals, and implants. We also recently began accepting Medicaid insurance. 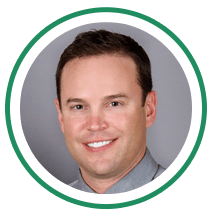 In June of 2016, Dr. Scott Pickett joined our growing dental family. Dr. Pickett grew up in Idaho Falls, and he graduated from Hillcrest. He attended Ricks College and graduated with his Associates Degree in Biology, and later received his Bachelor of Science Degree from BYU Idaho. Dr. Pickett received his D.D.S. from Virginia Common Wealth in Richmond, VA in 2014. He loved the East coast, but wanted to come back to the west to be closer to his family and the mountains. He began his career in Montana for two years before joining our practice. As a recent graduate, he is already confident and skilled in his services. He is committed to serving the Blackfoot community with honesty and understanding. Dr. Pickett loves to go snowmobiling, skiing, hiking, biking, hunting, fishing, and white water rafting. Essentially, if he is not in the office, you will find him outside.